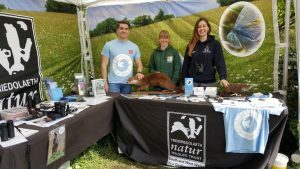 2017 saw the start of a new mission for wildlife in Cardiff as The Wildlife Trust of South and West Wales launched their ‘My Wild Cardiff’ project. With the help of some lovely locals we have created 12 new bug hotels in Canton, built Cardiff’s first ever pop-up wildlife garden in Bute Park, gave 3 wildlife gardening talks, taught 15 learning providers about bringing nature into schools and had 3 schools visit to our nature reserves! Together with our partners, we have been, and will continue to champion Cardiff’s wildlife, help people learn about the different species and create new habitats within the city. Did you know that there are Otters on the River Taff and Hummingbird Hawk Moths visiting Bute Park? Or that Cardiff has its own species of wildflower? Now, thanks to players of People’s Postcode Lottery, the My Wild Cardiff project has been extended for a second year and we have lots of exciting new plans to help you create more wild spaces in Cardiff. We will have a focus on Hedgehogs in 2018; one of Britain’s most iconic wildlife species but which have sadly declined by over a third in the UK over the last decade! These beautiful and wild creatures need your help to be able to live in urban areas. 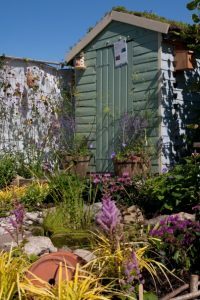 By making simple changes in your gardens we can all make Cardiff a little more wildlife friendly. We challenge you to make gardening with wildlife in mind one of your New Year resolutions! To help you get started we’ve produced FREE wildlife gardening packs for each month of the year. These contain easy and useful information about how to help certain wildlife species at specific times of the year. We’ve included information on how to build your own nest boxes for birds, how you can help bumblebees, what mammals to look out for and when, how to dig a wildlife pond and much more.